The furling torment avoids the installation of a releasable forestay (the cable and its rigging screw, the deck chainplate, the sheets), and an additional halyard for the installation of a torment or staysail. 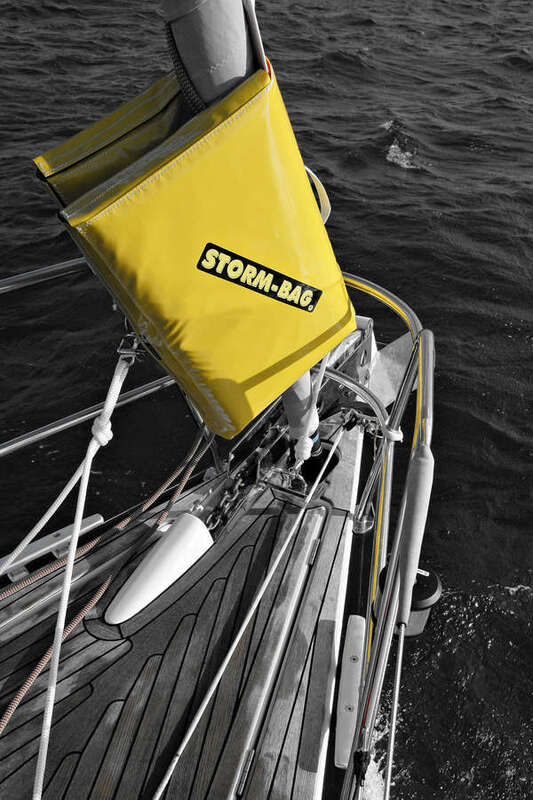 The Storm-bag avoids the purchase of a tormentine or any other headsails with snap hooks packed in a deck bag. 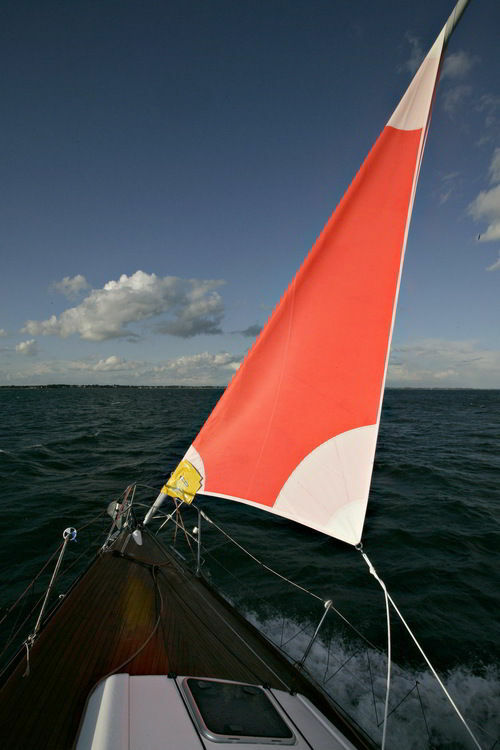 The furling torment protects your furling genoa from irreversible deformations. 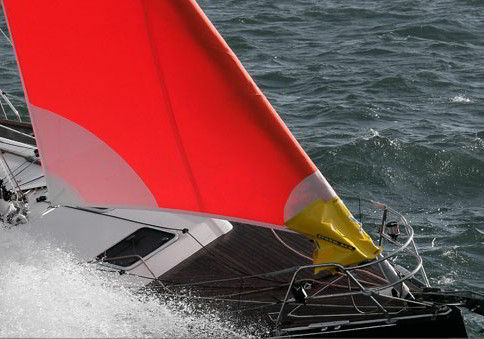 It avoids the risk of damaging the furling profiles with a partially furled genoa (hard points). 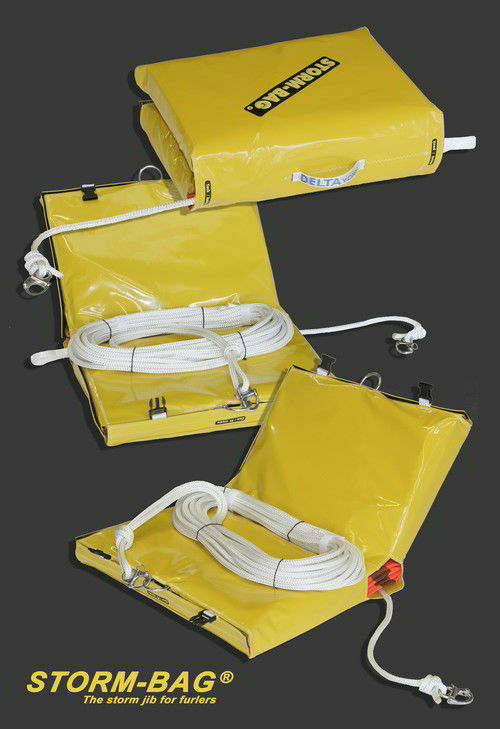 An immediate complete solution, the STORM-BAG is pre-equipped with all its equipment: sheeting, tack strop, snap hooks. It protects the crew from the tedious and dangerous installation of a sail on the releasable forestay. The furling torment is suitable for all sailboats. “…what we had imagined was soon confirmed. A standard fitted yacht cannot do a great deal in true winds of 25 to 30 knots even when backed up by engine power. However, with the three reefs in the main and the innovative STORM-BAG® storm sail, our Sun Fast put on a convincing performance in the strongest part of the front clocking up more than 35 knots in rough seas…» Essential safety equipment on board!